Inmarsat and other satellite based communication costs are ever increasing and budgets tighter than ever. The pressure is on for ship owners and operators to reduce costs. VSAT is one solution, but with a high CAPEX spend or a lengthy lease contract it can make the business justification difficult. Most vessels without VSAT use a single sat connection for email communications, typically Inmarsat fleet broadband. Over recent months Inmarsat have been increasing the cost of data transmission to an average of EUR 10.00 per MB. A typical vessel will send approx. 30MB to 150MB per month on email and at €10.00 per MB that’s between €300.00 and €1500.00 EUR per month. Satellite is ideal when the vessel is at deep sea but all ships dock and sail near land. This is where oneSIM global 3G roaming from ITatSea can help save you money. 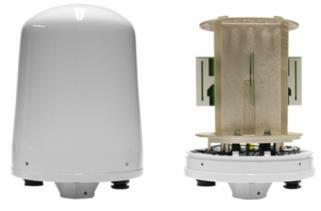 By installing an externally mounted weather proof 3G router you can connect to shore mobile networks and transmit your data, cutting out costly satellite circuits and at speeds of up to 21Mbit/s it’s fast! Further value is added with the ability to remotely connect to your vessel to provide remote support, saving the cost of sending an engineer to the vessel to fix software problems or install new applications. Using 3G GSM data for ship communications is not a new idea and already commonly used on vessels where the trading patterns can be predicted. Owners can purchase local USB dongles. The problem is for vessels where the trading patterns cannot be predicted and buying local SIMs can be difficult to manage. Our oneSIM router can be easily mounted on a standard 1inch pole with a single Ethernet cable running from the unit to the supplied router. It has a unique antenna design to ensure the best possible signal. The connection is protected by a firewall so only the applications you want can access the device. For a small monthly service charge of €5 it’s possible to cap your monthly usage for total peace of mind. Austria, Belgium, Bulgaria, Cyprus, Czech Republic, Denmark, Estonia, France, Germany, Gibraltar, Greece, Hungary, Iceland, Ireland, Italy, Latvia, Liechtenstein, Lithuania, Luxembourg, Malta, Poland, Portugal, Romania, Slovakia, Slovenia, Spain, Switzerland, The Netherlands, United Kingdom, Canada and USA. Albania, Antiqua, Argentina, Aruba, Australia, Bahamas, Bahrain, Barbados, Bangladesh, Belarus, Benin, Bosnia and Herzegovina, Brazil, Cambodia, Cameroon, Chad, Chile, China, Colombia, Congo, Croatia, Dominican Republic, Egypt, El Salvador, French Guyana, Georgia, Ghana, Guadeloupe, Honduras, Hong Kong, India, Indonesia, Israel, Isle of Man, Jamaica, Japan, Kazakhstan, Kenya, Korea, Republic of Kuwait, Macedonia, Madagascar, Malaysia, Mali, Mexico, Moldova, Montenegro, Morocco, Mozambique, Namibia, Netherlands Antilles, New Zealand, Nicaragua, Nigeria, Oman, Pakistan, Panama, Paraguay, Peru, Philippines, Qatar, Reunion Réunion, Russian Federation, Rwanda, Saudi Arabia, Serbia, Singapore, South Africa, Sri Lanka, Suriname, Taiwan, Province of China, Tajikistan, Tanzania, United Republic of Thailand, Trinidad and Tobago, Tunisia, Turkey, Uganda, Ukraine, United Arab Emirates and Vietnam. Interested? Contact us for more info.